As part of the Toptal in South of Brazil road trip #ToptalSBR16, we’ll be partnering with the Fintech Curitiba community and holding an event for developers and enthusiasts looking to learn how to develop distributed Blockchain applications using Ethereum and Solidity. We will have a special guest, Alexandre Van de Sande, who is the head UX designer of the Ethereum Foundation and also leads its Mist browser project. During this event, Alexander will give a talk and explain some concepts in Ethereum and also answer questions from our audience. 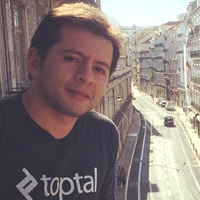 Afterwards, Toptal Developer Eduardo Pereira will give a presentation on the development of smart contracts using Ethereum and Truffle, a Node.js framework for creating smart contracts and distributed apps. We will then practice programming in Blockchain and test our smart contracts.